This past weekend, I went a little crazy with the spraypaint. I figured I’d better get it all out of my system before we enter this next season season here in Michigan. We have a saying here that there are two seasons: the “road-construction” season and the “unable-to-spraypaint” season. At least I think that’s how it goes. 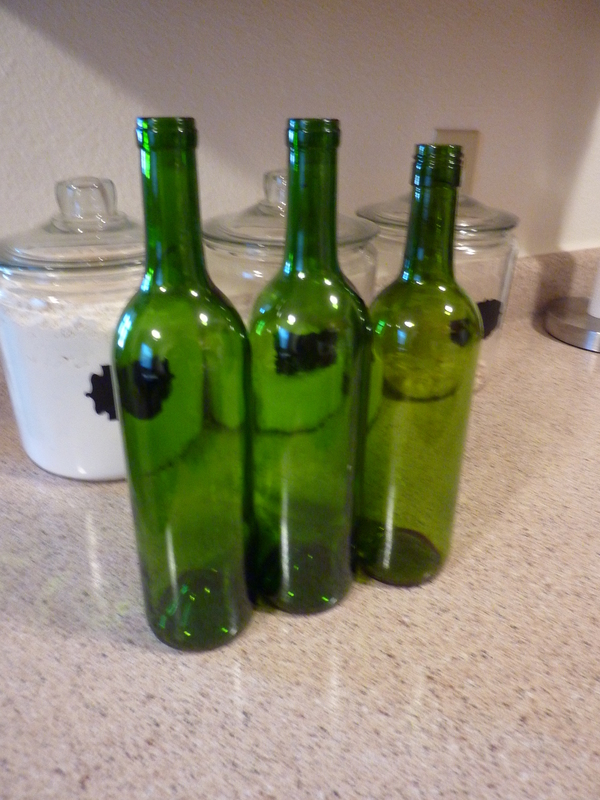 For the past few weeks, I hadn’t let Kenny throw away any of our empty wine bottles. I knew I could do something with them, but the vision didn’t come to me until I had amassed quite a sum and they were taking over our kitchen. In short, I knew it was time to act. First, I soaked the bottles in hot water and scraped off the labels to get these nice green jars that were not as blurry in real life as they are in this photo. The fun part came after I let them dry. This part was also the most tricky…it is difficult to write on rounded surfaces! Especially with chalk. I find that to be a tricky medium to work with in general, and when you factor in the curvature of the bottle… you get sloppy lines. It happens. Let’s just call the messy lines whimsical, shall we? Once I stuck some fake flowers in the top, I had a pretty nice centerpiece type of thing going on. Spray paint=best friend. In the craft world, that is. Spray paint would never tell me when I had something in my teeth… and I would hope a real best friend would. And a real best friend would definitely ignore the spray paint underneath my fingernails. At least, if they know what’s good for them. My apologies for that thinly veiled threat. I should note that, though I don’t yet HAVE the Young House Love book (hint, hint! ), this project is included in it and was my inspiration (based on the TV interview they did in Toronto). Love that blog! On a completely unrelated note: if you’re at all like me and like free things and reading, check out this post from awhile back on the Tyndale Rewards program. I’ve gotten several free books this way and it is SO EASY to get your first book for free. It took me like 10 minutes to get enough points for a free book! 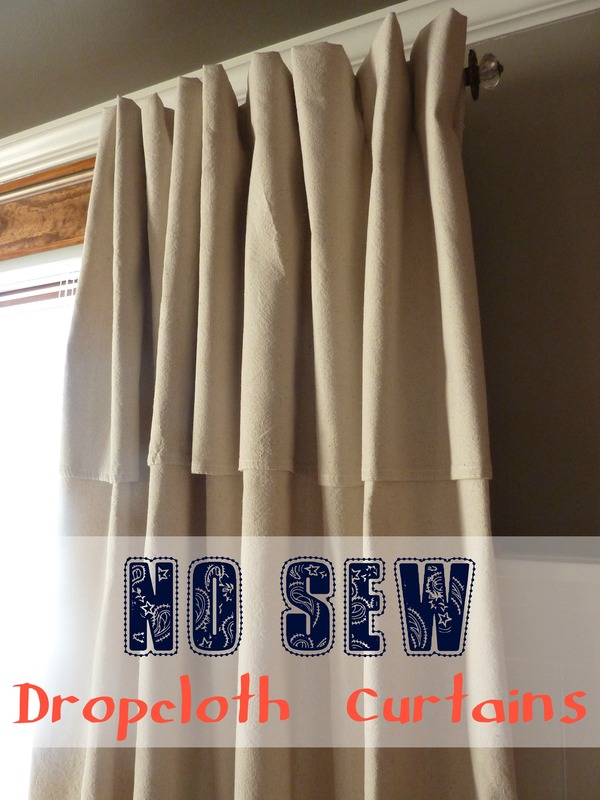 I’m also linking up to Frugal Friday at The Shabby Nest! 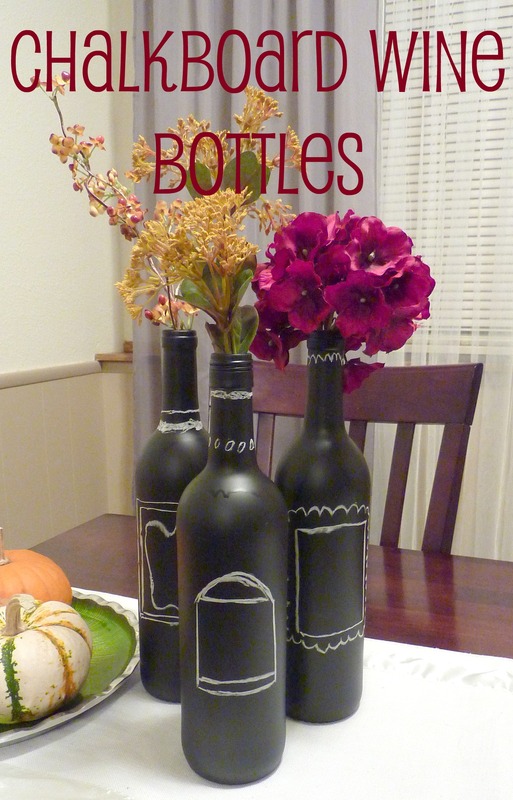 Categories: DIY, Home Decor | Tags: Bottle, chalkboard spray paint, diy centerpiece, Krylon Chalkboard Spray Paint, spray paint, Wine bottle | Permalink. 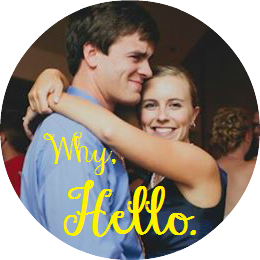 What a funny, cute,… but great idea! What a terrific idea. Love your project! I adore anything with chalkboard paint! Spray paint is my BFF too…we use the heck out of it on rehabbing old furniture pieces! Cannot WAIT to live in a bigger space so I can rehab old furniture to my heart’s content! Look out, world! I feel your pain on unable-to-spraypaint season. I wanted to spray paint something on Saturday night but it was 26 degrees. Fail. Your centerpiece turned out great! Thanks for joining the Dare to DIY. 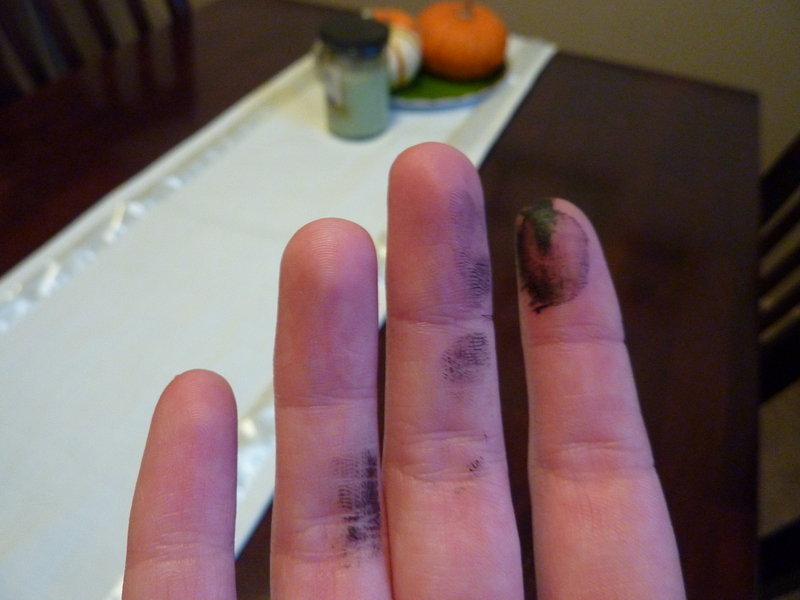 Yep, 26 degrees does not lend itself nicely to spraypainting…not to mention, numb fingers on that trigger? OW. That’s it. 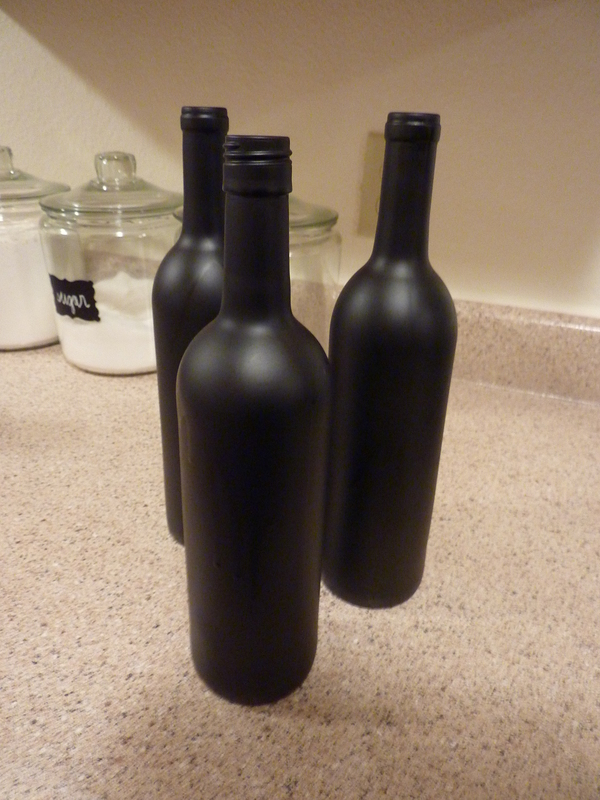 I’m spray painting wine bottles. Yes I am. Awesome project! THanks for linking up. So cute. 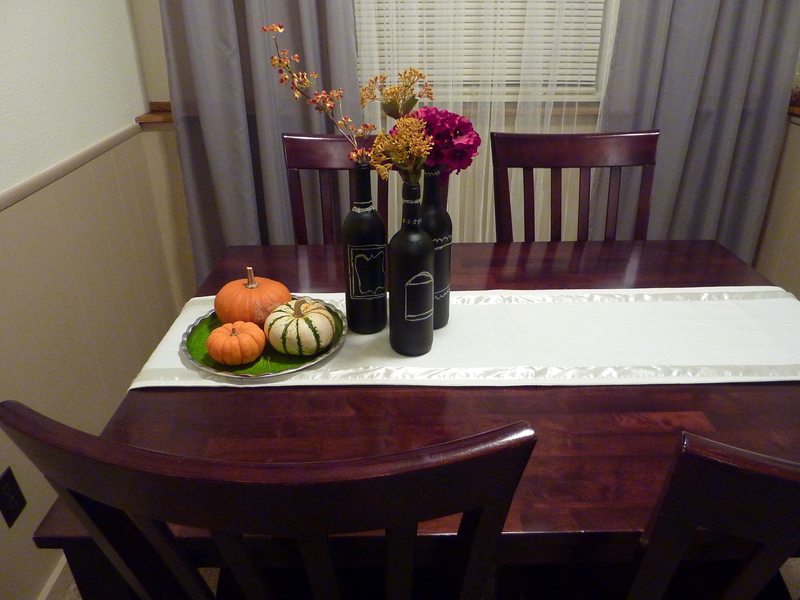 Great use for my empty wine bottles. 🙂 The chalkboard paint makes them look so fancy and casual at the same time! I’ve been hoarding my wine bottles too. Thanks for reminding me I am not crazy for doing it. Yours turned out really great, and those flowers are so pretty. Go for it! It is a project that just might be impossible to mess up…which is MY type of project! Bahaha, yes, I’d imagine! I’ve had to wear dark nail polish to cover up this “manicure”! I also suffer from spray paint finger. It’s a tough ailment to live with. But I love the wine bottles! They look so fun, and your whimsical drawings on them are perfect 🙂 Thanks for sharing! So cute! Just saw similar vases on One Kings Lane for $25-$50 each! Great job! I too have contracted spray paint fingers 🙂 Props on your chalk work – I don’t think I’d be able to pull off the whole chalk and curved surface combo. Yes! A chalk pen sounds GREAT. Great idea! I always seem to make a mess with chalk! Great idea! Such a fun centerpiece! I despise spray paint finger. When I remember I put on gloves. Spray paint is such a pain to get off your skin.